We Packed the June SRC Meeting to Demand Vote to Abolish in the Fall of 2017! On Thursday, June 15th, the Our City Our Schools campaign packed the second to last School Reform Commission meeting of the year. 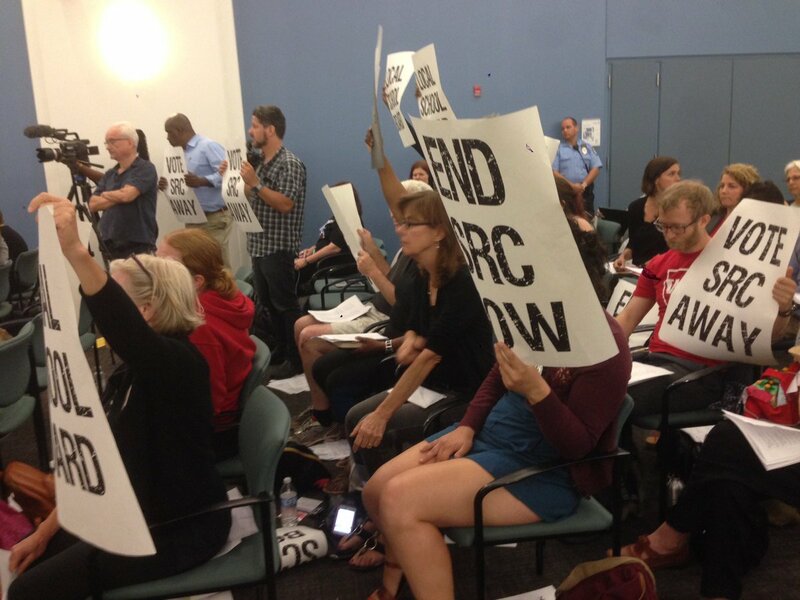 Dozens of parents, teachers, students and community members testified to demand that SRC Commissioners vote by the Fall of 2017 to abolish the School Reform Commission — including a spirited song that demanded ‘we want our school board back’. 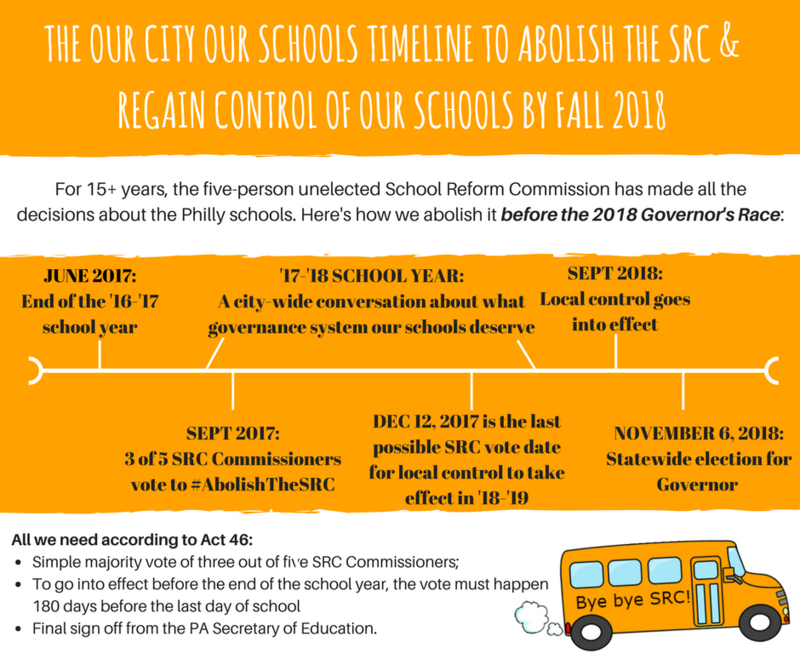 The Our City Our Schools campaign also unveiled a timeline to abolish the SRC to urge SRC Commissioners to sign on to which highlights the need for the abolition vote to occur by the Fall of 2017 to avoid the risk of the 2018 Gubernatorial race. Last week, over sixty people came together for a forum to hear from SRC Commissioners on their timeline for abolishing the SRC. All five SRC Commissioners had been previously invited, and Chairwoman Joyce Wilkerson originally RSVPed her attendance. But less than a day before, Ms. Wilkerson cancelled her attendance, and no SRC Commissioners were in attendance.